Rainwater falling on our roofs, driveways, lawns and streets can pick up pollutants like litter, oil, fertilizers and pesticides before flowing into storm drains. Storm drains are directly connected to local lakes, rivers and streams, which means any pollution picked up in rainwater adds pollution to those bodies of water. For example, the rain that falls in north Minneapolis drains into Bassett Creek, which then drains into the Mississippi River. Luckily, there are many ways you can help reduce the amount of storm water runoff and the pollutants in the storm water at your house and in your neighborhood. 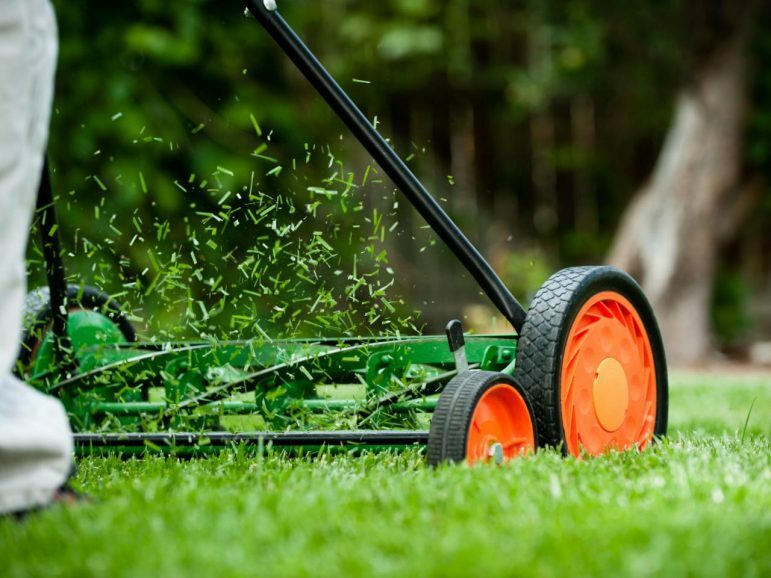 Grass clippings and leaves contain phosphorus and other nutrients that feed algae. This can cause excess algae growth that can negatively impact other plants and wildlife and can be unsafe for swimming and for pets. Leave them on your lawn, use them for compost, or bag them up. Direct downspouts into your garden or lawn or install a rain barrel. This will help reduce how much you have to water. Or you could install a rain garden, which is a special garden designed to capture rainwater and help it infiltrate into the ground. Read and follow the label instructions when using herbicides and pesticides, and use the minimum amount needed to control the problem. If you can, consider using alternative or natural remedies to control weeds and pests, or remove the problem by hand. Sweep up any fertilizer that spills onto hard surfaces. Ensure cars are tuned up and not leaking any fluids that could end up in the storm drain. Pick a storm drain or two on your block that you regularly check and sweep out, especially after a bunch of leaves fall and before it rains. This will keep excess leaves and litter from getting into nearby lakes and streams, and can also prevent localized flooding. Grab a bag when you grab the leash and pick up after your pets. Pet waste contains bacteria that, in the water, can cause illness in humans and animals. Neighbor-to-neighbor encouragement can be the best way to help keep our water clean. Offer to help neighbors with bagging and composting their yard clippings, and talk to them about ways to keep rainwater on our properties and out of storm drains. There are many actions we can take to keep our water clean. The next time it rains, take a look at where water flows off your property and in your streets, then commit to taking one or more of these actions. Get inspiration from others in the community at www.cleanwatermn.org and learn more about these actions at http://bit.ly/Hennprotectwater. —Information and photo courtesy of Hennepin County.